The tried and true solution for measuring and monitoring accuracy has been episodic compliance audits. These audits are typically performed by a third party for objectivity and are an important component in ensuring compliance standards are being maintained and to a lesser extent that reimbursement is being optimized. Although these traditional audits serve their purpose, from our perspective they are missing a key component; how are the findings of the audit addressed with the individual coder to drive performance improvement? This is analogous to a manager providing a written performance review to an employee with an expectation that the individual will make the appropriate adjustments yet he or she maintains the status quo and nothing changes. What good is auditing and documenting results if the report is simply put on a shelf to collect dust? How can performance and results improve in this scenario? We believe the real value comes from understanding the developmental opportunities from the audit or assessment and combining that with ongoing feedback and education at an individual level to drive enhanced performance. We have termed this as Coder Performance Improvement or CPI. CPI is a continuous process that provides real-time insight into the performance of coders, works directly with the coder to correct errors, and re-evaluates the coder until the desired improvement is achieved and sustained. 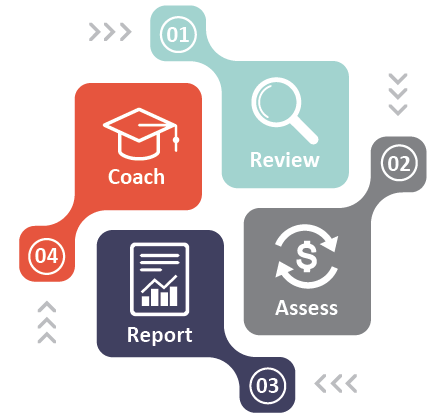 CPI is a continuous four-step audit cycle designed to drive performance improvement. Providers should view ongoing education and frequent audits as an investment in increasing revenue long term. Facilities that make the strategic decision to implement a continuous audit process such as CPI, which focuses on ongoing coder performance, can more readily address compliance issues and deliver significant financial upside by identifying and correcting missed reimbursement opportunities. We recently published a case study detailing how one of our clients saw at 10:1 return on investment after 6 months of implementing CPI. How does your facility use audit findings to improve performance? With what frequency does your facility audit its coding staff? I value your feedback and encourage you to leave your comments below.